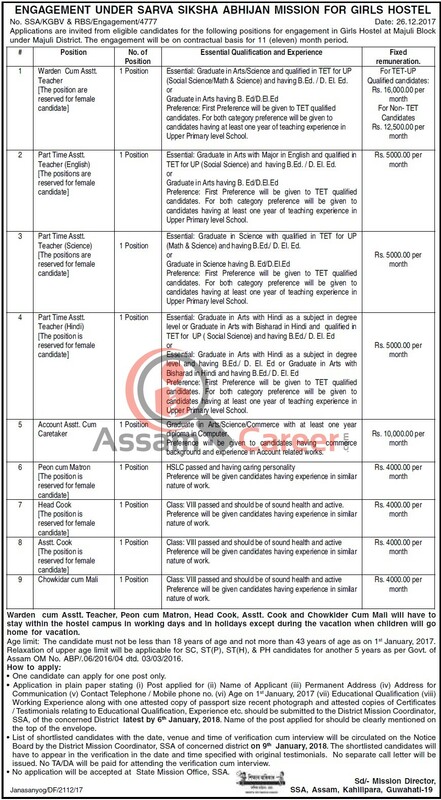 Applications are invited from eligible candidates for the following positions for engagement in Girl Hostel at Majuli Block under Majuli District. The engagement will be on contractual basis for 11 (eleven) month period. Educational Qualification and Experience: Class VIII passed and should be of sound health and active. Preference will be given candidates having experience in similar nature of work. a) One candidate can apply for only one post in a particular district.